I Have Been Drinking Heavily and I didn’t know I was Pregnant. As you can imagine this is a fairly common situation , so you are not alone. Pregnancy is often not diagnosed straight away and perhaps one in ten women have a delay in recognising their condition, or find out that they are more pregnant than they realised. 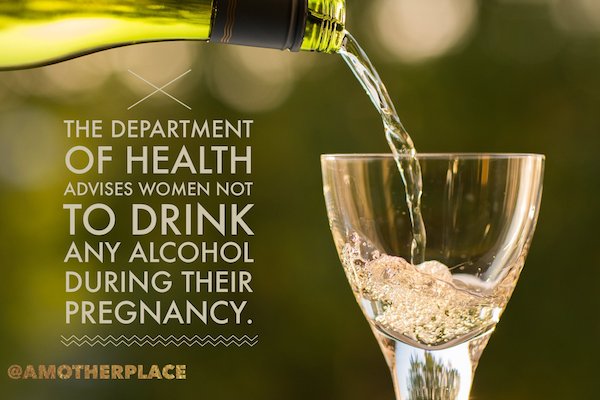 Also, alcohol consumption in pregnancy is known to be much more prevalent than is actually reported. The most likely outcome is that you will have a healthy, normal baby, in spite of your current anxieties. Long term, moderate or heavy drinking is associated with Fetal Alcohol Syndrome, which I am sure you have already Googled and frightened yourself. It is usually associated with a variety of nutritional, dietary , social and behavioural problems, and not normally associated with the odd binge session in early pregnancy. There are some theoretical extra risks from drinking in the first trimester. The most significant being a possible increased chance of miscarriage , which you seem to have avoided. Opinion is divided as to whether there may be a slight increased chance of facial cleft problems (eg. cleft palate), but these differences may be explained by differences in diet as already mentioned. A routine 20 week scan should be able to reassure you appropriately. As you have already discovered, all the authorities (RCOG, NHS, NICE etc ) now recommend that pregnant women should avoid alcohol. This blunt statement is a recent change in advice, based on the lack of evidence regarding what is the actual safe upper limit of alcohol consumption in pregnancy. There is no evidence, for instance, that small amounts of alcohol, even when taken regularly, have any bad effects on your baby. The problem is defining “small amounts of alcohol” – this definition differs from person to person. You need standard antenatal care. Talk to your midwife and or doctor about your concerns. The 20 week scan is amazing and is likely to give you extra confidence. I have looked after so many women in exactly your situation , and I can not remember one bad outcome in this sort of scenario. We get hundreds of Questions from women doing our Online Antenatal Classes, and we make sure we answer them all! We publish many of them in the hope that we can help others looking for similar information. If you found this information useful, please do let us know! Come and join us on social media – we are a really friendly bunch and we would love to hear from you.